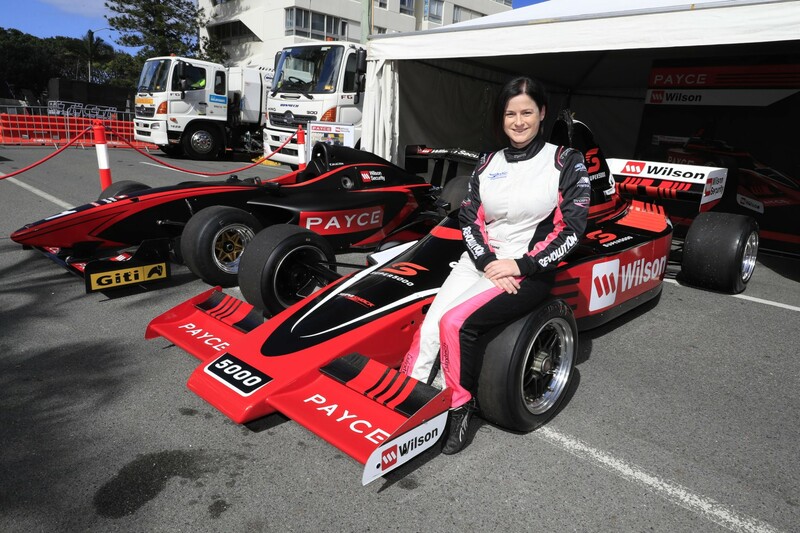 Leanne Tander believes Super5000 demonstration sessions will prove a hit during the Vodafone Gold Coast 600, as high-powered open-wheelers return to Surfers Paradise. Tander will drive the PAYCE and Wilson Security Super5000 alongside Tim Macrow in the Formula Thunder 5000 in sessions across the weekend. Indycars raced on the street circuit between 1991 and 2008, and the retro-inspired cars could offer a similar spectacle if plans to establish a series come to fruition. Having last raced on the Gold Coast in 2008 in Formula 3, Tander is excited about making her return with the Super5000 laps. “It’s been nearly 10 years since I’ve driven here, and to be driving these things around this place is going to be awesome,” Tander told Supercars.com. “This track was designed to have these fast, powerful open-wheel cars. It’ll be great, I think everyone will love seeing them out on track. “What will be great about this track is we will be able to use all of the power that’s in the car. “We will be able to get some sort of enormous top speed, but I think watching them going through the chicane at the back will be pretty exciting. The Oscar Fiorinotto- and Chris Lambden-led 5000 projects were merged under the one banner in July, and work on locking in one platform is ongoing. Tander, like husband and Garry Rogers Motorsport Supercars driver Garth, has driven both cars. That includes giving the Super5000 its public debut during the Wilson Security Sandown 500 last month. “I’ve been lucky enough to drive both these cars and they’re both fantastic,” Tander said. “The power that you’ve got at your disposal is fantastic, it’s got the same amount of horsepower as a Supercar, but about a third of the weight. “It makes it very, very fast. It will be an exciting category to watch. “Driving it is certainly a lot of fun - you’ve got speed, you’ve got aero, slicks, it’s just the whole package. It’s great fun to drive. “The reception was fantastic at Sandown. The fans loved seeing it there, they loved the sound of it, they loved the flames. “It was obviously a tricky weekend because the weather conditions weren’t exactly perfect, it was a little bit wet and cold. “We couldn’t really get the most out of the car, couldn’t quite warm the tyres up and get it going.